Making the best use of Java assets, using RJB (Ruby Java Bridge) and JRuby. Sparsely connected RESTful Web application linkage. Offering high operability via Ajax. Development of Web system using Ruby on Rails. Customized Redmine which is open-source project management software written with the Ruby on Rails framework. While the functions of Redmine can be used without modification, additional dedicated functions have been implemented using other open-source software and our original implementation. In the field of software development, it is necessary to have an environment where created program codes and document history organization can be managed or where two or more persons can collaborate. Time and effort are required to prepare such an environment for each project, and if the project is small, preparing a dedicated server is difficult. Ad-Sol Nissin developed a platform where you can use the environment necessary for software development in project units. To develop your software, you can use Redmine, as described above, together with other open source software, to achieve both low cost and customization at the same time. To organize a site where you can use the environment necessary for your project for configuration management and collaboration as soon as you apply for. To eliminate the time and effort required to organize an environment for each project and thereby to reduce costs. To eliminate the need for initial learning when participating in another project that uses the same environment. To centralize project data management and decrease the cost of management processes. To manage the processes such as backups without leaving it to the project, even after completion of the project. Detailed operation in project units. The project leader adjusts the detailed settings and monitors the operations. Collaboration tool, Wiki, blog, project management, IRC, configuration management tool, Subversion, static analysis tool. Customizing Redmine, open-source project management software made with Ruby on Rails. Use of the functions of Redmine as is. URL-based links to other applications. Implementing single sign-on by referencing the same authentication information. Flexible link with other applications by passing parameter as URL. Calling other systems using HTTP. Doubling all servers so as to continue work even in the event of a failure. Always replicating content written to SVN and DB. Calling a Java library with RJB (Ruby Java Bridge) to create an Excel sheet. 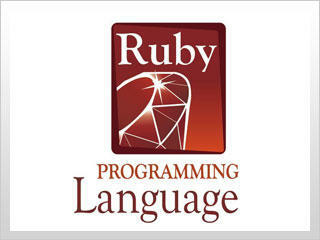 Using Ruby on Rails, a Web application can be developed in a short time using many convenient plug-ins. However, high-specification plug-ins execute complicated processing, and thus performance tends to drop during execution. Consequently, unless access frequency and saved data tendencies are taken into consideration, there is a risk of not achieving full performance, which means the application is useless. Ad-Sol Nissin speeds up Web applications for use in a natural disaster to attain more advanced functions and performance. Performance higher than the expected maximum load is required of a site where accesses concentrate in the case of an event. The most frequently referenced page is preferentially sped up, assuming the status in which it will be used. The latest information should be able to be referenced accurately even when a cache is used. Plug-ins are not used depending on the case. Not using plug-ins is advantageous in terms of speed, depending on the data tendencies. The effect increases when SQL executions decrease. Modifications can be minimized by implementing the same interface as the plug-in. The cache is discarded when data are updated, and data are reread when on-screen display happens next time. The cache is also discarded when the database is directly updated by another system.